Here’s a truth we can all get behind: self-care is supremely important. Here’s another: self-care is a lot more fun to practice with your best friends. Obviously, one of the best ways to practice self-care is to indulge in a massage, a mani-pedi or a facial. Not only do these simple acts make a big difference in your mood and mental state, but they can also give you a much-needed boost of confidence. And when you add your BFFs to the mix, self-care suddenly turns into a prime bonding experience. Booking back-to-back services at the local day spa can obviously get expensive. So why not plan a little at-home spa day with your girlfriends? There are plenty of perks to engaging in some pampering from home. 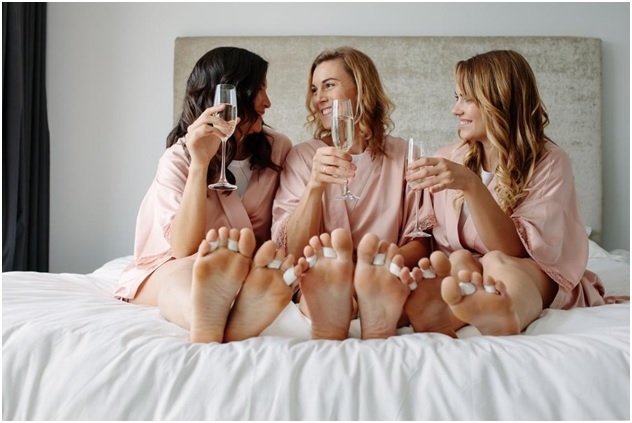 Not only is it a more budget-friendly approach, but you also won’t have to worry about getting home after having a couple glasses of bubbly, and you’re free to chat about whatever you’d like with your besties without worrying about disturbing other spa-goers. Ready to slip into some comfy loungewear, bond with your best girlfriends and indulge in some serious pampering? While planning your spa party, don’t forget to stock up on these essential items. It’s hardly a spa day without some luxurious robes to lounge around in. Since you’re saving on spa services, splurge on some luxurious ones. A plush fleece robe is perfectly cozy on a winter’s day, or you might opt for a lavish silk robe instead if you’re looking for something lightweight that also feels impossibly self-indulgent. 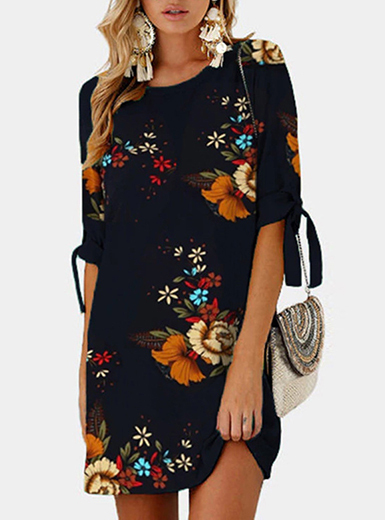 After slipping into your spa robe as soon as your spa party begins, you probably won’t want to take it off for the rest of the afternoon or evening. And what could feel more extravagant than sipping prosecco in a chic kimono? There’s no doubt you and your girlfriends will want to treat yourselves to manicures and pedicures. So make sure to have a nail kit with all the must-haves: nail polish remover, a cuticle softener, a nail clipper, nail file, cuticle pusher, nail cleaner and a buffer. If you’re planning on doing pedis, it’s a good idea to have a pumice stone or foot file for exfoliation purposes — these tools, which slough off calluses and dead skin, will leave your feet feeling softer and smoother than ever. You’ll also need a base coat and top coat to get that glossy, long-lasting mani and pedi. And of course, you will want to have a solid selection of polish colors to choose from. You can’t go wrong with a classic blush pink, white and true red, but you may want to include a metallic silver or gold and a fun hue like lavender or navy blue for good measure. If your budget allows from it, stock up on a few nail kits and extra polishes to create some goodie bags that your ladies can take home. While catching up on gossip or exchanging recipe tips (or simply lounging in glorious silence), you and your BFFs can enjoy a soothing foot soak. All you’ll need are enough basins and some hot water, and you can actually make your own soak with a few simple ingredients. Better Homes & Gardens recommends combining French green clay with Epsom salts and baking soda — a combo that can soften your skin. Epsom salt is known to have detoxifying as well as anti-inflammatory properties and is an excellent ingredient for treating dry skin. Why not add some smooth rocks or marbles to the basin to massage your feet while they’re soaking? Then, add in your favorite essential oil — mint, eucalyptus and lavender are all incredibly refreshing and will make your soak feel extra indulgent. No trip to the spa is complete without some spa water. Luckily, you can make your own at home with a large pitcher of water and your choice of fresh fruit or veggies. Just don’t forget to let the ingredients to infuse for at least 30 minutes to get the most flavorful result. Take a cue from The Renaissance Lodge at Sonoma in California and infuse your water with lemons, limes, and oranges for a tart citrus blend. Or, try watermelon, crushed blackberries, mint leaves and halved strawberries a la Spa Aiyana at Carmel Valley Ranch in California. If you enjoy simple, herbal flavors, copy the Solage Calistoga spa and just add rosemary. The possibilities are endless when it comes to ingredients. Lemon, cucumber and lime are known to flush out toxins, mint and basil can reduce inflammation, watermelon and strawberries are packed with skin-friendly antioxidants, and cantaloupe is not only super hydrating but also chock full of beautifying vitamins. You could also make some mocktails with soda water, fresh berries and mint. And of course, if you’re aiming to get the party vibes going, you can’t go wrong with a bottle of champagne or a round of mimosas. With such an abundant variety of face masks available, there’s sure to be one that meets your unique needs. Take a poll of your girlfriends’ current skin concerns, and look for single masks that line up with them — whether they’re hoping to combat dryness, breakouts, dullness or signs of aging. 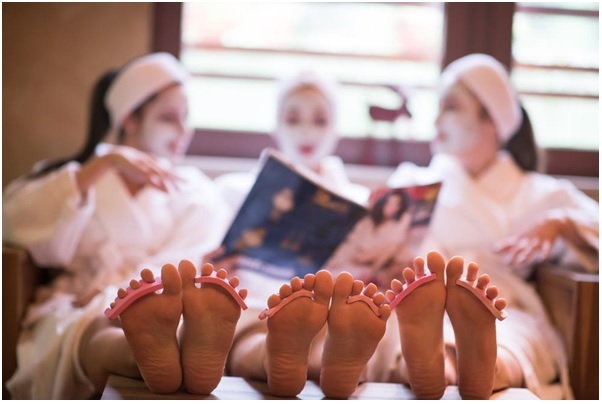 While waiting for your face masks to work their magic, you can flip through some magazines, listen to some relaxing music or bust out that foot soak. Also, there are a plethora of DIY face mask recipes you can try if you’d rather whip up your own at home. For example, Reader’s Digest suggests an oatmeal facial — all you need are rolled oats, hot water, plain yogurt, honey, and one egg white to create a super moisturizing treatment that’s phenomenal for sensitive skin and soothing inflammation. Between busy jobs, families and other obligations, you and your friends no doubt have your fair share of stress to deal with. 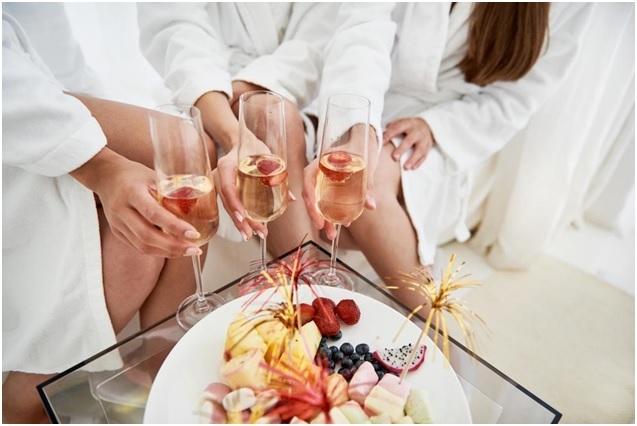 That’s why a pampering party might be just the thing you and your girls need to unwind — and reconnect. Remember: you’re worth it. Taking this time for yourself can not only have a positive impact on your mental and emotional well-being, but it can also do wonders for your complexion.